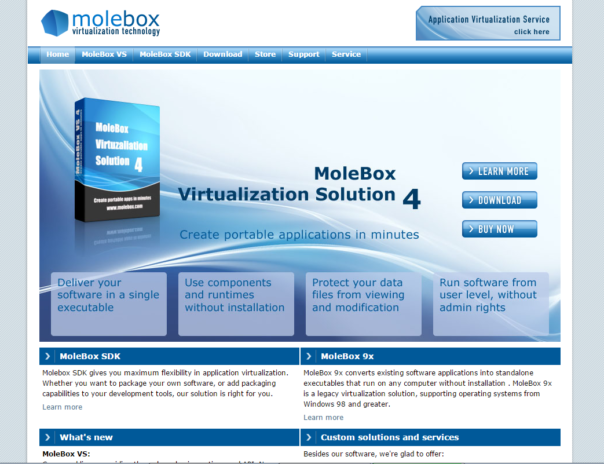 MoleBox 2 was released in year 2003 and it was one of the first file virtualization solutions in the market. It bundled executable with the DLL and data files into a single EXE file. At that time that was something new and innovative. They had quite a success and released another product (MoleBox Ultra, later renamed to MoleBox Virtualization Solution) in year 2009. Apparently it was very hard to fight in the increasingly more competitive market of application virtualization solutions and the last version of MoleBox Virtualization Solution was released in 2013. 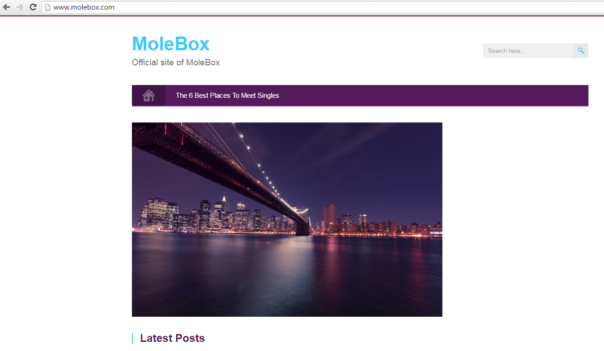 However, both editions of MoleBox are still very popular with private game server owners, as they allow to bundle patched EXE files together with their custom data files. It's not a bullet-proof security but stops newbies from stealing their valuable data. 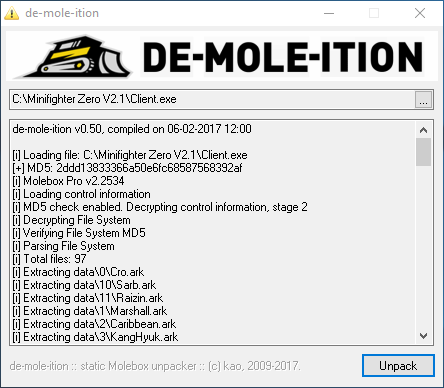 Since the MoleBox company is officially out of business now, I have no more reasons to keep my static Molebox unpacker private. It supports most versions of MoleBox 2.x including the external box files. Download link: see October update to Molebox unpacker for an updated version. P.P.S. I have static unpacker for MoleBox Virtualization Solution as well. But it doesn't have a nice UI yet, so it will be released on a later day.